“Avoiding food contamination and increasing product safety are key objectives of all food producers”, writes Food Manufacture magazine this month. “It is critical to prevent any type of contamination”. They assert that “hygienic [machinery] design… has many benefits to the industry by boosting product quality and safety, saving resource costs and reducing energy and detergent costs”. At Adelphi, hygienic machinery design is at the forefront of our ethos; all our products are all manufactured with food hygiene in mind. Our stainless steel containers are pit and crevice free to avoid bug traps, and our machinery contact parts are always manufactured from materials that take all FDA regulations into consideration. 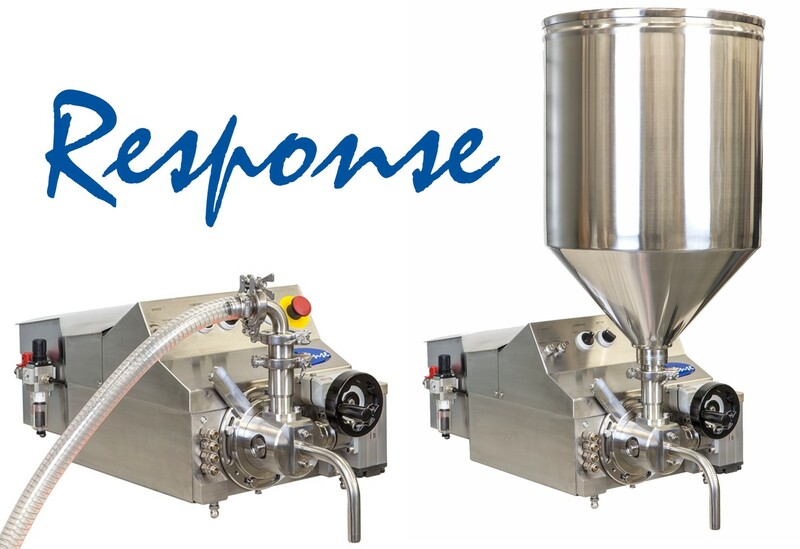 The Response Benchtop Filler, widely used in the Food & Beverage industry, is a great example of these considerations. Its curved and sloping surfaces meets GMP requirements, and avoid product pooling. Clean, lubricant-free pneumatics, tri-clover hopper connections, and a quick strip design combine to ease cleaning. All its contact parts are manufactured in hygienic 316L grade stainless steel, PTFE and Viton. Similarly, the hygienic stainless steel process equipment supplied by our sister company Pharma Hygiene Products is often used in food production environments where manufacturers require stainless steel of the highest quality and hygiene standards. All are pit and crevice free to avoid bug traps, and with the use of our X-ray analyser, full material traceability is guaranteed. At Adelphi we are extremely proud of our processes and products. To find out how we can help your business, please don’t hesitate to call us on +44 (0) 1444 472300, or email info@adelphi.uk.com.